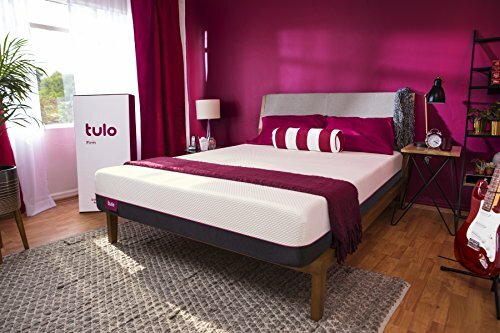 Tulo Mattress 2019 Review: Does This Cheap Bed-in-A-Box Measure Up? Home » Mattress » Tulo Mattress 2019 Review: Does This Affordable Bed-in-A-Box Hold Up To The Competition? While all of Tulo’s mattresses offer great value for money, our top pick is the Tulo Medium mattress. This 10-inch mattress is most likely to suit the majority of people, regardless of sleep preferences, and receives excellent reviews for its level of pressure point relief and comfort. Mattress Firm launched its bed-in-a-box brand, Tulo, in 2017, after seeing what they say was a gap in the market online for this type of mattress. Instead of offering a ‘one for all’ mattress with one level of firmness, Tulo’s Comfort Series offers three levels of comfort, each designed to suit a particular sleep preference, while their Tulo Liv mattress is a highly affordable option compared to competitor brands. But, with three different comfort levels to choose from and an additional lightweight mattress to consider, the question is – which Tulo mattress is best for you? Below, we’ve taken an in-depth look into the mattresses Tulo has to offer to help you decide which, if any, is the best choice for your sleeping needs. The Tulo Soft mattress is the first in Tulo’s Comfort Series and is described as being best suited to side sleepers due to its plush-feel that cradles the body, relieving pressure on the hips and shoulders. Constructed from four layers of supportive foam, the Tulo Soft mattress receives good reviews for its level of comfort and deep pressure relief. The Tulo Soft mattress is 10 inches in height and is available in sizes Twin through to California King. It has a soft feel, ideal for people who prefer a plusher bed, or for side sleepers who need deep pressure relief and cushioning in their hips and shoulders throughout the night. The Tulo Soft mattress is constructed from four layers of hybrid foam. The bottom layer is made of 4 inches of soft-density polyurethane foam that provides a durable foundation for the upper layers. Above this is a 1.5-inch thick layer of strut reinforced foam, designed to reduce surface compression so your mattress doesn’t develop indentations. This layer also minimises material fatigue to boost the mattress’ durability. The final two layers are a 1.5-inch layer of responsive firm foam with a ‘peak and valley’ design to allow air to flow through the mattress easier, topped by a 2-inch layer of ventilated memory foam with integrated titanium particles for a cool and comfortable sleep surface. The mattress has no additional edge support and the foam layers simply stretch out across the entire mattress. This could mean that the mattress has weaker edge support or loses its structure quicker in these areas, although this isn’t a common problem we’ve come across in user reviews. These foam layers are then wrapped in a combination of knitted polyester and Tencel blended fabric to create an extremely breathable, durable mattress surface that is cool and soft to the touch. If you’re a hot sleeper, memory foam mattresses can be off-putting because of their tendency to trap heat more than other mattress types, such as hybrid or innerspring models. However, the Tulo Soft mattress receives multiple excellent reviews for how cool and comfortable the mattress is, even for people who tend to sleep hot. The mattress includes two foam layers which promote cooling: a responsive foam layer with a ‘peak and valley’ design, which prevents heat transfer and promotes better air circulation, and a ventilated top layer with integrated titanium particles. These titanium particles help to cool the mattress by absorbing heat and then distributing it more evenly through the mattress and reducing hotspots for a much cooler sleep surface. Back, front, and side sleepers all need something slightly different from a mattress, and for side sleepers, the most important feature is a soft feel that cradles your shoulders and hips to keep your spine neutrally aligned and relieve those pressure points. The Tulo Soft mattress is designed to do exactly this, providing a soft feel that relieves pressure and minimises tossing and turning throughout the night. This, in combination with Tulo’s cooling technology, should provide a soft, comfortable surface that is perfectly suited to side sleepers or anyone who much prefers a soft feel. The Tulo Soft mattress is suitable for couples who both prefer sleeping on their side – although couples with different preferences may prefer to opt for the Tulo Medium for a middle-ground option. The four layers of memory foam help to minimise motion, making it unlikely that the movements of your partner will disturb you throughout the night. The Tulo Soft receives generally great reviews. It’s an extremely affordable memory foam mattress, but more than that, people love it for how comfortable it feels and the relief it provides to common aches and pains in the back, hips, and shoulders. If you’re a side sleeper and love the feel of a soft mattress, the Tulo Soft offers great value for money, especially considering it also comes with a 10-year warranty and 120-night sleep trial. The Tulo Medium mattress has a medium feel best suited to stomach sleepers, couples who prefer sleeping in different positions, combination sleepers, or people who aren’t sure what type of mattress firmness they most prefer. Out of the Tulo Combination Series, the Tulo Medium would be our top pick for an all-around mattress that’s comfortable for the majority of users. The Tulo Medium mattress is 10 inches in height and, like the Tulo Soft bed, is also available in Twin-size through to California King. It has a medium feel (half-way between soft and firm) and is our top-pick for people not sure what firmness best suits them, as well as stomach sleepers and couples who sleep in different positions. The mattress is constructed from four layers of memory foam. The bottom layer is a 4-inch thick layer of medium-density foundation foam, which acts a support base for the layers above. On top of this is a 1.5-inch layer of strut reinforced foam for added durability and to reduce surface impressions. There is then a 1.5-inch layer of ‘peak and valley’ firm responsive foam to reduce heat transfer and increase air circulation throughout the mattress, topped with a 2-inch layer of ventilated memory foam with titanium particles. These layers are then wrapped in Tulo’s combination of knitted polyester and Tencel fabric for a cool-to-the-touch cover with a soft feel. Again, this mattress has no additional edge support, so you may feel it sagging slightly towards the edges, especially if you transfer to this mattress from an innerspring model, which typically has a sturdier feel from edge to edge – although, again, this isn’t a frequent criticism of the Tulo mattress, just something to be aware of. Stomach sleepers will typically need a mattress with a medium or firm feel that provides support, particularly around the midsection. The Tulo Medium mattress is described as being ideal for stomach sleepers, as it provides enough cushioning without allowing your body to sink and arch your spine. Likewise, the Tulo Medium mattress is the best choice for couples of different weights, or who have different sleep preferences. A heavier person may find the Tulo Soft causes too much sinkage, while the Tulo Firm may be too hard for a lighter person – so the Tulo Medium provides the perfect middle-ground. This also applies to couples where one person prefers to sleep on their side and the other on their back, for example. The Tulo Medium mattress has the same cooling properties as the Tulo Soft: a ‘peak and valley’ responsive foam layer that increases air circulation and a titanium particle-infused top layer to absorb and re-distribute body heat as you sleep for a cool and comfortable surface. The Tulo Medium mattress likewise receives some positive reviews from users. It is frequently praised for providing deep pressure relief to body aches and pains and for being a comfortable surface for couples with different sleep preferences. The most common criticisms of this bed are that it can feel too firm for some sleepers, although it does soften after a couple of days use. Equally, some users found the mattress too hot, so even with Tulo’s cooling technology, people who tend to sleep very hot may still struggle with the all-memory foam construction of this mattress. The Tulo Medium mattress also comes with a 10-year warranty and a 120-night sleep trial period in which you can test the mattress before you commit to keeping it. Overall, we’d say that this is another model from the Tulo Comfort Series that offers excellent value for money if you are after an affordable memory foam mattress suitable for most people. The last in the Tulo Comfort Series, the Tulo Firm mattress, is ideal for back sleepers or people who prefer a mattress with a firm feel. If you need a mattress that provides total support to align your spine and reduce aches and pains throughout the night, the Tulo Firm might be a good option for you. The Tulo Firm mattress is 10 inches in height and, like the Tulo Soft and Tulo Medium mattresses, it is available in Twin through to California King sizes. This mattress is, again, constructed from four layers of foam. It has 4 inches of firm-density memory foam as the bottom layer for durability and support, topped by a 1.5-inch layer of strut reinforced foam to help reduce surface compression. This layer is then followed by a 1.5-inch layer of ‘peak and valley’ responsive firm foam to circulate air through the mattress, topped with a 2-inch layer of ventilated, titanium particle integrated memory foam for cooling. These layers are then wrapped with the same cover as the Tulo Medium and Soft models: a blend of knitted polyester and Tencel fabric for a soft surface that is cool-to-the-touch. Back sleepers require support around the spine and lumbar region in order to prevent discomfort, and for this reason, a medium or firm mattress is most suitable for this sleep position. Tulo describes their Firm mattress as ideal for back sleepers, as well as anyone else who prefers a firmer feel, with the mattress offering firm support to reduce aches and pains throughout the night. However, if you are a particularly light person, you may find the Tulo Firm too hard for you and the Tulo Medium may be a better option. As with the other models listed here, the Tulo Firm mattress benefits from the Tulo Comfort Series cooling features. The ‘peak and valley’ layer of foam helps air to pass through the mattress easier, while the titanium particles should help to distribute your body heat and reduce hotspots while sleeping on the mattress. Likewise, the mattress is ideal for couples, as the memory foam layers help to isolate motion and avoid disturbance from your partner’s movements throughout the night. The main criticism of the Tulo Firm mattress is that it feels too firm for some sleepers. If you are a lighter person or you are not sure what kind of mattress feel you prefer, it may be safer to opt for the Tulo Medium mattress to ensure you get the contouring benefits of the memory foam layers beneath you. However, if you know you prefer the feel of a firm mattress or are a back sleeper in need of additional support for your spine and lower back, this model could be the best option for you. Aside from this, the Tulo Firm receives equally good reviews as the other two models in the Comfort series. It provides excellent pressure relief, with many users reporting a reduction in body aches and pains after use. Again, the Tulo Firm mattress comes with a 10-year warranty and a 120-night sleep trial period and is sold at an affordable price. The Tulo Liv mattress is their most affordable option: a thinner mattress that, they say, doesn’t sacrifice on quality or features. The mattress has a ‘one-option’ comfort level and though Tulo doesn’t specifically disclose how firm this comfort level actually is, user reviews seem to suggest the Tulo Liv has a medium-firm feel suitable for the majority of people. The Tulo Liv mattress is 9 inches in height: a thinner, more lightweight mattress that is also the most affordable option on offer from Tulo. With just one option for comfort level, the Tulo Liv is described as being soft, comfortable, and supportive. So, while not designed to meet the needs of any one sleep position in particular, like the mattresses in the Comfort series, it does seem that the Tulo Liv is designed to be comfortable for the majority of people and sleep positions. This mattress is constructed from three layers. The base is a 5-inch layer of foam to create a stable foundation and increase the lifespan of the mattress. On top of this is a 2.5-inch layer of support foam to minimise tossing and turning throughout the night. 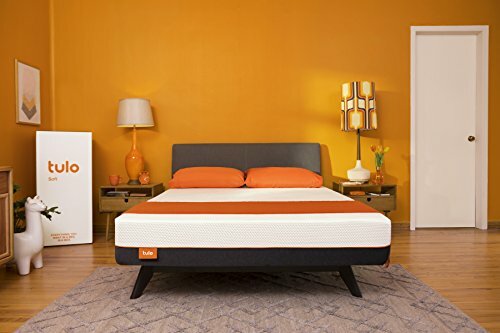 The top layer is 1.5 inches of LumaGel™ infused memory foam, an open-cell structured foam that is extremely breathable and helps to regulate your temperature for a cooler sleeping experience, as well as providing pressure point relief. The three layers are then wrapped in a breathable, knitted white cover that is soft-to-the-touch. This cover doesn’t have Tencel fabric blended into it, so may not be as cool as the mattresses in the Comfort series, although this is offset by the LumaGel™ layer below. The Tulo Liv mattress, just like the mattresses in the Comfort Series, is delivered as a bed-in-a-box, directly to your door. It includes the key features of a memory foam mattress, such as pressure relief and support, and is the only Tulo mattress to include cooling LumaGel™ foam. The biggest difference is that this mattress is an inch thinner and is constructed from three layers instead of four. While some people may prefer a thicker, more sturdy model, the Tulo Liv is the most affordable mattress Tulo offers and is great value for money for memory foam. The overall impression of the Tulo Liv mattress is very good. The mattress receives excellent reviews not only for how reasonably priced it is, but also for its level of comfort, as well as how well the cooling gel top layer performs. 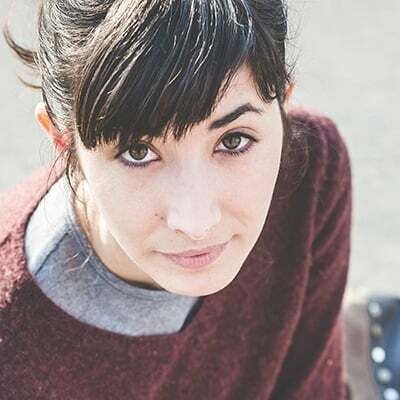 The biggest criticism the Tulo Liv faces is that some users found the mattress too firm – but the 120-night sleep trial at least gives you the peace of mind that if the mattress is too hard for you, you can return it in this time period for a full refund. With a 10-year warranty, as well as a lengthy sleep trial period, the Tulo Liv is a great option if you’re looking for a quality memory foam bed-in-a-box mattress on a budget. Q: Are Tulo mattresses eco-friendly? Q: What kind of foundation can I use with my Tulo mattress? A: Tulo says their mattresses are suitable for use on a range of foundations. You can use your mattress with your current box spring or a platform bed and the mattresses are also suitable for an adjustable base. Q: How do I care for my Tulo mattress? A: You don’t need to flip your Tulo mattress, as the layers of foam are constructed to be used on one side only. However, you can rotate your mattress to reduce the likelihood of it developing body impressions. Q: How Are Tulo mattresses delivered? A: Tulo is a bed-in-a-box company, which means that your mattress will be delivered to your door compressed in a box. You simply need to remove it from the box and remove the plastic wrapping to allow your mattress to fully expand before use (they recommend allowing an hour after unboxing before use). Q: Is there a break-in period with my Tulo mattress? A: Tulo says the break-in period for their mattresses is completely dependent on your body. However, their 120-night sleep trial period will give you plenty of opportunities to fully determine whether the mattress is right for you. Tulo offers a good selection of memory foam mattresses at very affordable prices. If you want a memory foam mattress but are on a budget, Tulo looks like a great option. One of the biggest benefits of this bed-in-a-box company is the level of choice they give you, so you can choose a mattress with the feel that you prefer. Overall, reviews show that the Tulo mattresses provide a cool, comfortable surface that supports pressure points and isolates motion for an uninterrupted night’s sleep with few signs of sagging over time. The most frequent criticism seems to be related to the feel of the mattress not being suitable for certain people – so choose your firmness level carefully. With a 10-year warranty and 120-night sleep trial period, you can be confident that you’re investing in a product that the company believes in, too. We hope this in-depth review has helped you to make a more informed decision on whether a Tulo mattress is a good fit for your needs. Platform Bed vs Box Spring 2019 - What's the Difference and Which One is For me?